All of your home games will be played at Indian Springs Sports Complex (the renowned ISSC soccer complex, the best grass turf fields in the state of Oklahoma!) Depending on the age of your team, you may play your away games at ISSC or in the Green Country area. Players, Parents and Coaches will be members of the fastest growing & largest youth soccer club in the State of Oklahoma. 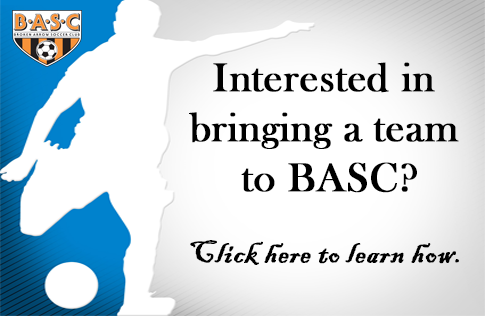 BASC hosts many fun events throughout the year that kids love! Parents and Coaches will have an educated, professional office support staff who are available to answer your calls, texts or emails, Parents and coaches may stop by and ask questions at the conveniently located office on Main Street throughout the business week, 12 months per year! $85 registration fee includes your player registration, insurance, field fees, referee fees and many other member benefits!